With a relaxed ambience and delectable food surprises, Veda Cafe leaves a lasting impression. The interiors of Veda Cafe are colourful yet laidback. When a small eatery revamps itself, you don't even feel the need to look up. But when a brand does the same, you do take note. The well-known Veda has reopened as Veda Cafe and, as the name suggests, the place and its menu now have a casual and relaxed zing to it. 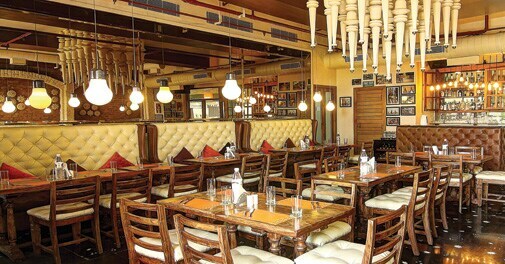 Veda lovers will vouch for the lingering taste of the food served there. It has been nine years since the brand's launch and this is probably its first strong reinvention. Feel like something different? Try a grilled fish neer dosa, served on plantain leaf. Though its interiors are still fantastic to behold, they are no longer overtly grand or overwhelming. Enter, and you will quickly find yourself at ease in this cozy restaurant with the perfectly laidback vibe for a Saturday brunch. Veda may have been known more for its North Indian offerings, but its new avatar transcends petty boundary concerns with great elan. While the South Indian twist to the vada pao makes it extremely tasty, it may not find approval with the ones who like it just the way it is. The palak patta chaat is rather brilliant, and the crispy idli does nothing short of blowing your mind. While the chicken 65 isn't the best you can get in the city, it isn't all that bad either. The sakora murgh and grill chicken serve their purpose well. The real scene stealers, however, are the Kerala vegetable stew and grilled fish neer dosa - both equally delectable, well-prepared and difficult to refuse! 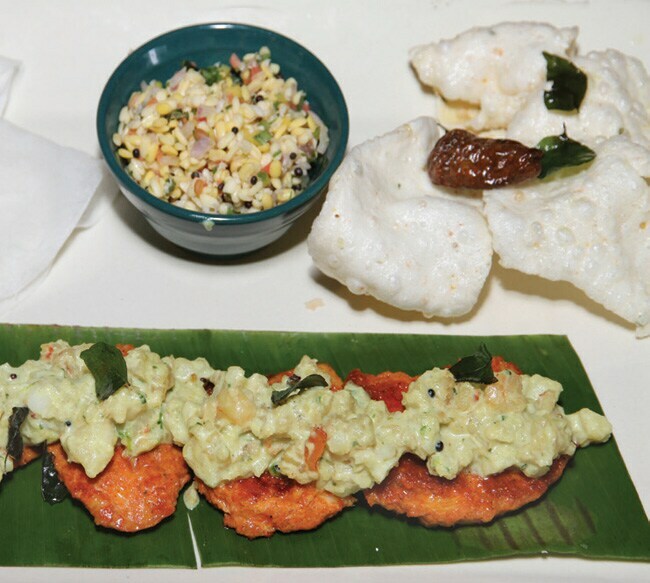 Anyone who likes South Indian flavours should definitely try the two. And those who don't, get ready to shift loyalties! For dessert, the malpua mille feuille is the dish to go for. Extremely sinful, it will leave you craving for more. The Bombay falooda, on the other hand, can be avoided. Does Veda Cafe live up to the brand name it carries along? I'd say it creates its own identity instead. It's certainly worth your visit!